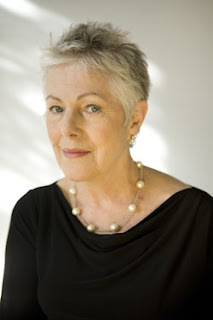 Lynn Redgrave, a member of England's legendary acting clan, died Sunday night at her Manhattan apartment. In 2003, Redgrave had been treated for breast cancer. She was 67. The death comes just weeks after the passing of Ms. Redgrave's actor brother, Corin Redgrave, and a little more than a year after the demise of her actress niece, Natasha Richardson. Redgrave made her professional debut in 1962, as part of the cast of A Midsummer Night's Dream at the Royal Court Theatre. In the late 1960s, she became a film star as the star of Georgy Girl. "Our beloved mother Lynn Rachel passed away peacefully after a seven year journey with breast cancer," her family said in a statement Monday. "She lived, loved and worked harder than ever before. The endless memories she created as a mother, grandmother, writer, actor and friend will sustain us for the rest of our lives. Our entire family asks for privacy through this difficult time." Her son Ben and daughters Pema and Annabel were with her when she died at her home on Sunday, May 1, 2010.